"Candice was simply amazing--so lovely and easy to deal with (especially since we were in touch super long distance), she made sure we got all of the right paperwork and documents ready and sent from abroad with time to spare. Her ceremony was perfect--we couldn't believe how in tune with us her words were, and how simple and sweet her introduction. Somehow she managed to take a couple of garbled paragraphs I'd written out for her about who we were, and captured the essence. I'm so glad that she left us a beautiful copy of our ceremony so we could re-read it later. 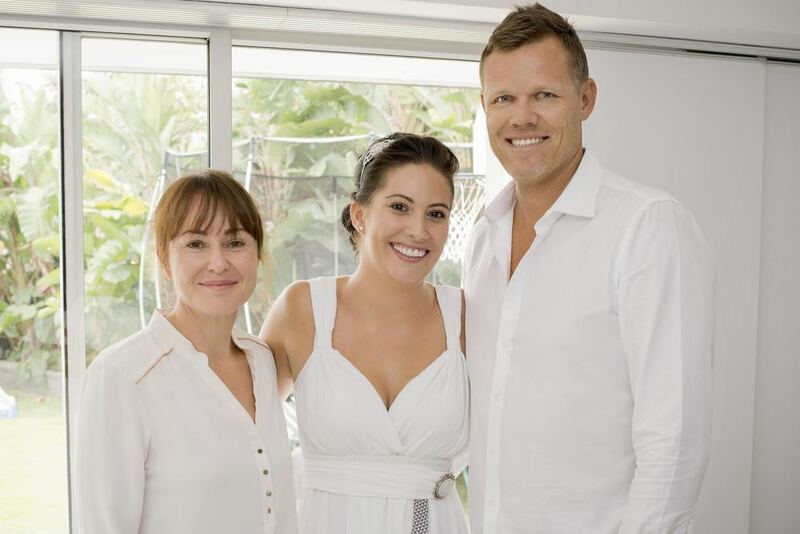 We're so glad we chose you Candice - thank you, obrigado por tudo, agradecemos muito xo"
"Candice, It was such a pleasure to have you on our wedding team :) what was probably the scariest thing for me in the lead up (finding a celebrant) was totally dismissed by having you. Having you on board was just like having a friend, with similar tastes and attitudes it just felt right. This beautiful photo expresses your support and gentle presence." "Candice, What an amazing person and celebrant you are!! From the moment you met us, you made us feel at ease and so comfortable in your presence. The pure joy and emotion you shared with us on our wedding day will never be forgotten. You are a very real person Candice!! You truly are amazing and we couldn't recommend you enough to anybody out there getting married!! All our love, Anna and Anna ❤️"